It is the successor of the JR 100. 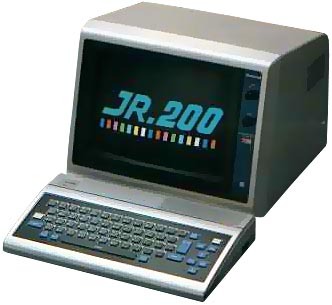 The JR-200 had good features compared to its japanese competitors : 8 colors, 2400 bauds tape speed and 3 voices synthesizer. But sadly there were no real graphic resolution, only a combination of semi-graphic characters. The Panasonic JR-200U is the same computer but aimed at the american and european market. Read its page for more information, and a complete history text. see more Matsushita National JR 200 Ebay auctions !